Your garden should not only be an extension of your home, but also of your personality. 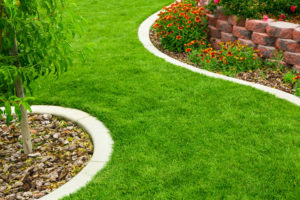 At Vas Landscapes, we’re proud to offer the best garden landscaping in Bromley – all at competitive prices. 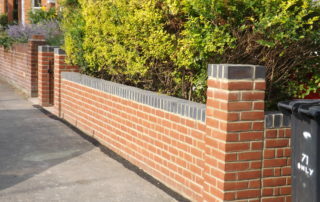 We’ll work closely with you to build as full a picture as possible of the vision you have for your garden. We don’t just want to create a great garden. We want to create your dream garden. Whether you want to make a change to your home garden or your business green space, we have the knowledge and the tools for the job. 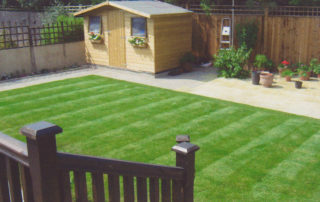 Our Bromley garden landscaping services have been transforming gardens for over 25 years. You might say we’ve got green fingers, which is why we’ve spent two and half decades at the forefront of landscaping in Bromley and South East London. We’re passionate about what we do, and that’s reflected in the quality and care you’ll see in our work. A big chunk of our business is gained through personal recommendations, and that speaks volumes about the quality of work we do. It doesn’t matter if we’re completely reshaping an acre garden or simply installing a modest water feature – we’ll always give every job the care and consideration it deserves. All projects for garden landscaping in South East London will be considered, regardless of size and scope. In fact, we love a challenge. For added peace of mind, all work undertaken is covered by comprehensive public liability insurance, and we never use sub contractors, giving you complete control. Want to give your garden a new look? Get in touch by phone or email, and we’ll be happy to discuss your ideas. We’re committed to realising your vision – the garden you want. 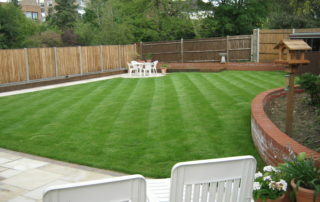 Complete Landscaping / Bromley landscape gardening services, for any size garden. Make your garden special. 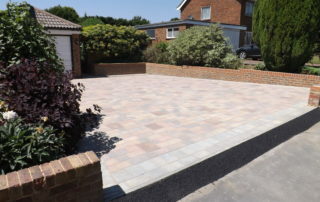 Driveways / Turn your driveway into a beautiful space in its own right – or just give it some much needed TLC. 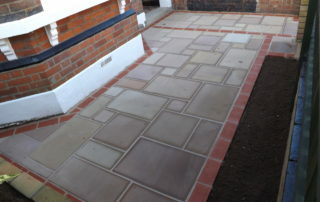 Paving & Brickwork / A new patio can transform your garden, and make it an ideal BBQ hotspot. Water Features / Include an elegant water feature in your garden, whether a fountain or a pond. Fences & Sheds / Restore old sheds to former glory, or install a new shed or fence. 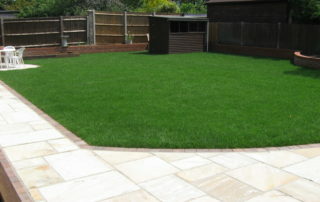 For the best landscape gardening service in Bromley, choose Vas Landscapes.